Leverage the Incredible Power of Ketones. We Hit $150,000, 5x Our Target on Indiegogo and Shipped! Wins East/West National Event With KE4! Same reps, same weight, 75% less recovery time. 12% faster 10 mile time over baseline. $5 a day Weight Loss Experiment! No longer tastes like Rocket Fuel! Result: Smarter end of game athletes. 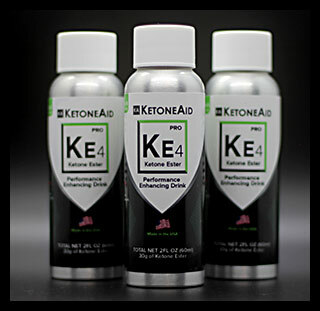 themselves the true power and record breaking potential of ketones. Our company was founded by Mr. Frank Llosa, a brilliant serial entrepreneur who has an incredible track record of success in a number of fields from real estate, to highly technical photography for National Geographic, to one of the first cloud-based storage systems available to the public. Mr. Llosa was also an elite Division I track athlete who currently incorporates biohacking to stay competitive in all his endeavors, including a vegan ketogenic diet, hitting levels over 8.0mm on diet alone (as mentioned in a podcast with Dave Asprey, CEO of Bulletproof, where Frank made a cameo). Frank has a unique ability to find a path where others have failed. He knew this could be the perfect challenge for his unique skill set. 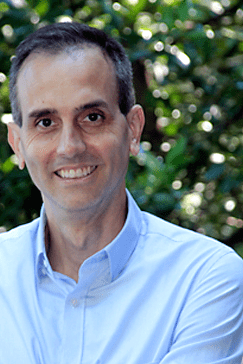 With his extensive Rolodex he turned to his friend, Steve Zarpas, with a background in biochemistry, for assistance with the very extensive list of scholarly papers written by the biochemist about "complicated ketones." It quickly became apparent to Steve, that this particular ketone-ester was absolutely fantastic. The first roadblock to bringing the product to market was finding a commercial laboratory able to actually make the Ketone Ester at scale and under $100 a serving. Frank and Steve were warned in advance that multiple commercial laboratories over the last ten years had tried and failed to deliver the Ketone Ester at an acceptable purity level despite his guidance. Within six months Frank and Steve contacted hundreds of labs to find the perfect partner lab. Working together as a team, they succeeded in making small batches of the purest Ketone Ester ever tested. KetoneAid is relentless in continuing their R&D. Continuously identifying new techniques to further reduce costs to make a viable consumer product. Significant breakthroughs in production methods and costs reduction techniques have been identified. We launched a successful Indiegogo campaign and hit $150,000 which was 5x our goal. And we shipped on time. See the INDIEGOGO campaign. 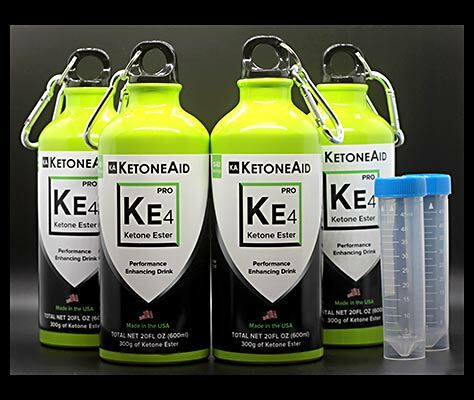 At the same time, the nascent market for exogenous ketones has begun to show signs of what has been predicted to become an all new market segment for ketone products. This new marketplace is currently grossing millions per month using rudimentary technology discarded by scientists fifteen years prior. Their success is nevertheless, a very good sign indicating the potential for the Ketone Ester, and derivatives thereof, becoming the breakout hit the supplement market has been waiting years to see.